Categories: All, Print & Mark Making, Workshops & Courses. 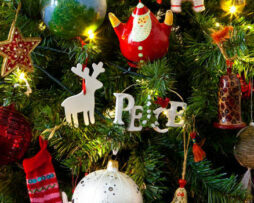 IT’S CHRISTMAS!! Christmas is the Magpies’ favourite time of year, so how could we not have a extra special christmas crafting session. Our usual 5 crafts in one day, plus mulled wine and mince pies galore. WOW!! Yes, we are that excited we needed to put it in captial letters. These crafts have been specifically chosen to work within a hour time frame each. You need absolutely NO crafting experience at all to join in. All materials are provided and each craft has a specialist tutor to help and guide you through each session. On arrival at 10.00am at The Flour Mill Studio (there is a flight of steps to climb to access the studio), you’ll be greeted with a mulled wine and a mince pie. We’ll start with a brief introduction and plan of the day. At 10.15am we’ll start our first craft, you will be working in groups of 6 – 8 per table, but you will do your craft individually. You will have a 15 minute introduction and demo of each craft and then 45 minutes to complete your item. After an hour at each table, the gong will sound and it’s time to move to the next craft! We will break at half 12 for a well deserved light lunch provided by a lovely local cafe (christmas cake is 100% involved). At 1.30pm we will continue with two more craft sessions until 4.00pm when we will stop for another glass of mulled wine or a nice brew (and of course more chrimbo cake). 4.30pm will be the start of our final craft and at the stroke of 5.30pm the final gong will sound and it’s time to relax, with a good cup of tea of course. You will be very welcome to chat to our tutors about the crafts from the day and ask any questions. We use this time to have a look at all the lovely work completed throughout the day. The light lunch will consist of fresh wraps, sandwiches and soup plus savoury and sweet nibbles. Please let us know of any dietry requirements as we are inclusive to all and will cater for all and any needs. Paper quilling lets you coil and shape colourful strips of paper into beautiful works of art. This art form looks complicated and fiddly but we PROMISE you it is not as hard as it looks, and we consider it completely suitable for an absolute beginner. 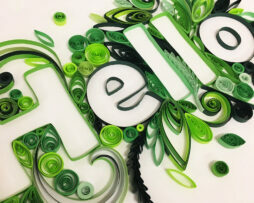 Quilled projects are light, delicate and look very intricate. They give a strong sense that someone has put a lot of time in making them. We will provide a large selection of templates to choose from and a lovely box frame to mount your finished work. You will also leave the workshop with a quilling tool and a fine glue applicator to continue your new craft at home. All materials are supplied plus beverages and light snacks. 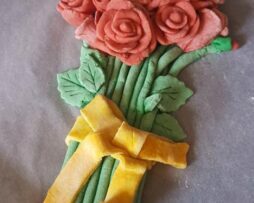 On this relaxed course you will learn how to create a basic salt dough recipe, we will then we will form our dough into a lovely bouquet of flowers. Super popular in the 90’s this craft is making a retro comeback and is really good fun for all ages. Please bare in mind your pieces will need to be cooked at home, but we will send you home with a nifty little baking tray and all instructions needed to finish your bouquet. All materials included plus beverages and light snacks. This two hour workshop is an introduction to shaping and layering paper to create wonderful pieces of art. 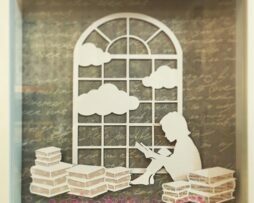 You may benefit from attending our beginners workshop for paper cutting, but it is not essential. You will still be able to fully participate in this workshop as we have templates and designs for all levels of experience. You do NOT need any drawing skills to enjoy this workshop as all projects are based on templates. We are happy to show those who wish, how to create a template from your own drawing at home. We start by looking at the different methods used to create layers with paper and an introduction to our basic tools. We will complete a warm up cutting exercise to hone our cutting skills for the session, which includes shaping a basic mini beetle. You will then choose from a huge selection of templates and be guided through cutting your own 3D project. You will go home with a completed framed project, plus a set of templates to continue at home with the skills you have learnt during our session. You will get to keep your cutting mat, scalpel and a packet of spare blades. Tea, biscuits and all materials are provided for the session. Suitable for 10 years and over.